After decades of overfishing stocks return, but will people find it palatable? 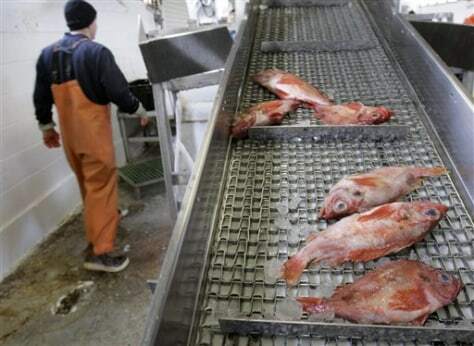 The last of a load of redfish ride a conveyor belt at the Portland Fish Exchange, in Portland, Maine. Redfish is one of the few species of New England groundfish that's considered completely healthy, and regulators say fishermen can safely catch over 15 million pounds of it this year.